Dr. Daniel Amen:	The Brain Warrior's Way Podcast is brought to you by Amen Clinics, where we've transformed lives for three decades, using brain SPECT imaging to better target treatment and natural ways to heal the brain. For more information, visit amenclinics.com. Dr. Daniel Amen:	Welcome back to Memory Rescue. 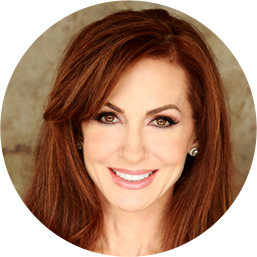 We are doing a whole series on my new book, Memory Rescue, and taking a bright mind's approach. So, how you keep your brain healthy or rescue it if you think it's headed to the dark place, is you attack all of the risk factors. We've talked about them with bright minds: B is for blood flow, R is retirement and aging, I is for inflammation, G is for genetics, H is head trauma, T is toxins. We just talked about mental health. Today, we're gonna talk about immunity and infections. People who have autoimmune disorders, chronic fatigue syndrome, Lyme, herpes, other infections; even cancer, because cancer is an immune system disorder, actually have a higher risk of memory problems. Tana Amen:	We talked about during this bright minds series how I'm one those people who gets sick a lot when we travel. I forever have to fight, do things to keep my immunity built up. So in addition to having cancer in the past, which led to other health issues, I had mononucleosis when I was nine. When you get mono, that is something that apparently stays in your system. Dr. Daniel Amen:	Antibodies will stay in your system. Tana Amen:	Stay sort of dormant. But if you get run down, it will rear its ugly head. So, those are people that have pay attention. Like my karate master just went through chemotherapy, and it's just been hell watching him come back. He's a fighter, he's very strong. I mean, stronger than most people. But he got sepsis, it's like every time he turns around there's something. Thank God he's got a nurse as a wife, she's sort of tough. Dr. Daniel Amen:	Yeah, but gratefully. I mean, he had two different kinds of cancer. Dr. Daniel Amen:	And he's come back. Tana Amen:	But having to watch all of this and pay attention. Dr. Daniel Amen:	So how do people know if they have an immune system disorder or an infectious disorder? Tana Amen:	There's some labs you can get. Dr. Daniel Amen:	Something like herpes where you get outbreaks, either oral or genital outbreaks, you know that. Tana Amen:	But there are some labs that show. Dr. Daniel Amen:	You know your immunity is vulnerable. Dr. Daniel Amen:	Low levels of vitamin D are associated with more vulnerable to immune system problems. Tana Amen:	Right, will make you very vulnerable. Dr. Daniel Amen:	You can have positive infectious labs, so we would see the Epstein-Barr titres in you. Dr. Daniel Amen:	You can be tested for Lyme, for something called toxoplasmosis, which is a parasitic infection. We actually see it on scans too, we'll see scalloping or what really looks like a toxic appearance. It's just like why is a psychiatrist interested in infectious disease and the brain? Because they cause a lot of psychiatric problems. I actually think 20 years from now, it's gonna be a whole sub-specialty of psychiatric medicine, infectious disease psychiatry for example. So if you have the vulnerability ... MS is another one, 'cause it's your body attacking the myelin in your brain. We have a friend who has MS who on a very serious gluten-free, dairy-free diet, she's not had a relapse of her MS.
Tana Amen:	Well, she had one episode and she said she had been traveling, and she got a little lazy with her diet, and that she noticed it immediately. Dr. Daniel Amen:	If you're struggling with brain fog or memory issues, consider being tested for exposure to infectious diseases. A lot of the articles I publish are in the Journal of Alzheimer's Disease, and they had a whole editorial with 33 physicians saying infectious disease is a major cause of Alzheimer's disease. We need to be serious about it. Some of the interventions. Do an elimination diet for a month to see if you have allergies that are damaging your immune system. Very common, just like you had talked about with Aslyn. Tana Amen:	Okay, there are ways you can manage that, but that's a whole nother podcast. We'll talk about that one in another time, 'cause I like to go out with my daughter, you can actually do things to be able to go out and still not get bit by ticks. Dr. Daniel Amen:	I also write decrease alcohol. Why do nurses, I'm here with a nurse, swab alcohol on your skin before they give you a shot? Tana Amen:	Because it kills bacteria. Dr. Daniel Amen:	To decrease the bacteria. Drinking excessive alcohol can upset gut bacteria, which is critical to immunity. Then I also said watch a comedy or go to a comedy club, 'cause they've been shown to boost immunity. Tana Amen:	Laughing, laughing boosts immunity. Dr. Daniel Amen:	As long as it's happy laughter rather than mean laughter. Tana Amen:	Well that's hilarious. Dr. Daniel Amen:	He would make fun of people. Tana Amen:	But like Cordyceps. Interesting they used to ... Do you know the Chinese where that came from? The Chinese army used to give it to their horses because it increased blood flow and made the horses stronger and faster. Fascinating. Tana Amen:	So notice that it's all the same things for all the risk factors, avoid these foods. Dr. Daniel Amen:	Well, this is a little bit different. Yeah, for avoiding, you're absolutely right. But immune enhancing foods: raw crushed garlic, onions, shallots, and mushrooms. Tana Amen:	Some people don't like the taste of garlic, you can take aged garlic supplements if you don't. Dr. Daniel Amen:	I love garlic. Tana Amen:	I do too, our house always smells like garlic cooking. But when we travel, I will sometimes boost my garlic intake with aged garlic, because it boosts your immunity and I have to watch traveling. And I boost my vitamin D. Interestingly, my doctor likes my vitamin D close to 100. You know they say 60 to 80? Not my doctor, he wants it close to 100. Tana Amen:	I always liked to be at the top of my class, yes. Dr. Daniel Amen:	There was never you wanted to be at the bottom of anybody's class. Vitamin D rich foods, so yes you can take a supplement, but tuna, eggs, mushrooms, shiitake mushrooms. Beef liver, I'm gonna take the supplement. Cod liver oil. Zinc rich foods like oysters, beef, lamb, spinach, shiitake and cremini mushrooms, asparagus. Sesame and pumpkin seeds, we've heard those a number of times. Also, lion's mane, portabella, shiitake, white button mushrooms have been shown to help. Kris Kristofferson came and saw one of our doctors, not here but at the Whitaker Clinic where I also worked. He was diagnosed with Alzheimer's disease. Mark Filidei, the doctor, discovered he had Lyme, and on an antibiotic and hyperbaric oxygen, Kris got his brain back. Tana Amen:	It's pretty crazy. 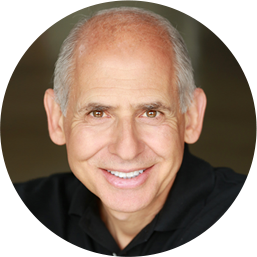 Dr. Daniel Amen:	He's back on the road touring again. Tana Amen:	But we've seen that happen a number of times. Dr. Daniel Amen:	This is a very important risk factor to understand. Do you have an infection or an immune system problem? Make sure it's properly diagnosed and treated, it could rescue your memory. Stay with us. Thank-you for listening to The Brain Warrior's Way Podcast. 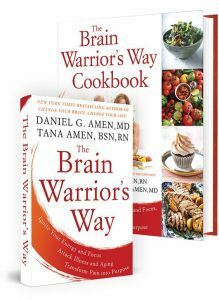 Go to iTunes and leave a review, and you'll automatically be entered into a drawing to get a free signed copy of the The Brain Warrior's Way and The Brain Warrior's Way Cookbook, we give away every month. ← Can Having a Mental Disorder Affect Your Memory?